We are the only locally owned pharmacy in Enniskillen, Northern Ireland. My family has owned the pharmacy for 61 years, and all the team are local and work towards improving the health of their community. For the last four years, we at Hughes Pharmacy have been working with a private company called Dr Acumed, which specialises in acupuncture and complementary medicine. In the last year, we have started allergy and intolerance testing, following a request from a patient who was covered in a rash neither their GP nor their dermatologist could find an answer for. We brought in a professional therapist who was able to test for up to 1,000 allergens and discovered two different food sources that the patient was allergic to. This service is now part of our regular portfolio. The pharmacy holds these clinics three or four times throughout the year. Due to the positive feedback and experiences of patients following the test, the clinics are very popular, and the demand for appointments is always very high. Patients who wish to have an allergy assessment have two options (see below) – and can also have a follow-up treatment therapy if they are found to have an allergy or other condition. Dr Acumed is full of praise for the proficient staff in Hughes pharmacy – and the fantastic staff in all community pharmacies where they hold clinics – for their cooperation and effective management of patients’ appointments. Our staff are briefed on the test options available well in advance of an appointment, and this means they have sufficient knowledge of what is involved and are confident handling any questions about the test. We offer two testing services in the pharmacy [neither* of which are recommended by Nice]: a blood test or a biomedical screening test. The cost ranges from £75 to £90. 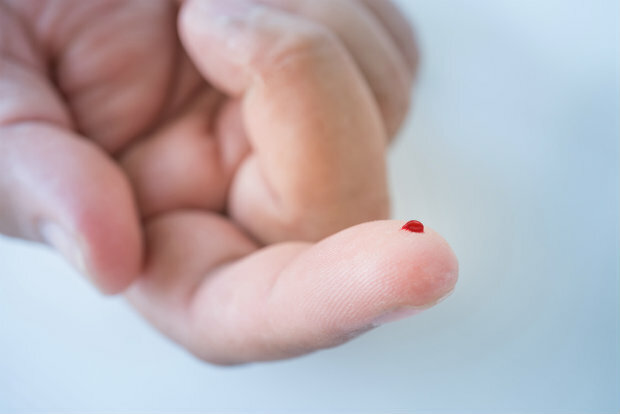 The blood test involves taking a sample from the arm or finger, using a lancet and a finger prick blood collection wand system. The sample is posted off to the laboratory, where it is analysed for immunoglobulin G (IgG) antibody reactions against 150 food and drink ingredients. The blood test takes 10 to 20 minutes, and the results are generally available within five to seven days. The biomedical screening test is an assessment based on the theory of utilising acupuncture pressure points on the fingers or toes to measure resistance in the body to over 1,000 allergens. The patient holds a probe against an acupuncture point on the patient’s finger or toe, and holds an electrode in their other hand. It takes 30 to 40 minutes to take the non-intrusive, pain-free test and the results are available immediately. Patients also receive information as part of an elimination plan on items they need to avoid, as well as guidance notes on replacement food and even recipes – for example, for gluten-free bread – to introduce into their diet. What else can we test for? We can also test for other allergens, such as pet hair. Patients can bring along a sample of their pet’s hair and we can check it for allergic reactions on our system. The same applies to any item or substance that may be a potential allergen. Some examples come to mind: including a female patient who was found to be intolerant to peppermint. She quickly realised she was constantly vomiting because she was on a peppermint tablet to treat symptoms of irritable bowel syndrome. Another patient presented with a rash on her face, and was found to be intolerant to formaldehyde – which she was coming into contact with because her husband was an undertaker and had traces of the allergen on his clothes. Likewise, a farmer was found to have candidiasis and high readings for the heavy metals lead, chromium and mercury. He was spraying pesticides on his farm without using a mask. We can also check whether e-cigarettes, which may contain harmful toxic substances, are causing an allergic reaction. Some of the adverse effects patients have come to be tested for are dry cough, dry eyes, headache, ‘vaper’s tongue’ – a dulling of the taste-buds – and dehydration. After completing the assessment, we ask them a series of questions, and anyone who tells us they use e-cigarettes can have the substance in their device tested against them. To date, we have found most users to be allergic to the contents of the e-cigarettes they are using. We also offer a smoking cessation service in the pharmacy. Often we feel like playing the role of a detective – having to delve into a person’s livelihood, occupation or leisure activities in an effort to determine what might be the source of an allergy or irritant – which is often not so obvious. The pharmacy continues to evolve with the changing environment, and that means offering services tailor-made for the differing health needs of its patients and customers. What does Nice recommend for allergy testing? It does not recommend either serum-specific IgG testing or electroacupuncture devices, such as those offered by Hughes Pharmacy, in the diagnosis of food allergy on the NHS. Nasacort is a prescription-strength hayfever treatment that is available over the counter, according to manufacturer Sanofi. With a "unique thixotropic" formula, the once-a-day nasal spray works directly on the nose and "stays where it is sprayed", Sanofi claims. This helps patients "to be free from the misery of hayfever", the manufacturer claims. Once a patient is established on the product, Nasacort can provide 24 hours of "effective relief from nasal congestions, sneezing, running nose and itchy nose", Sanofi adds. 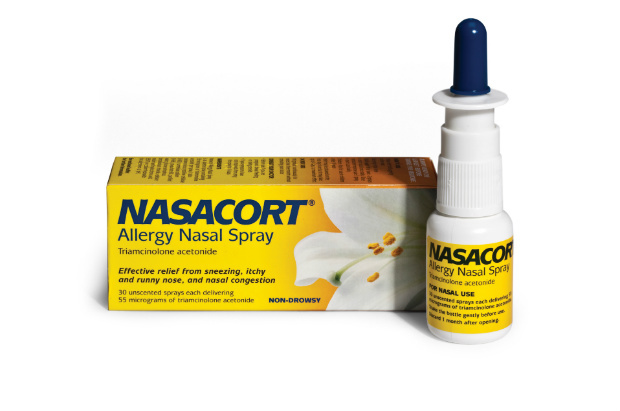 The Nasacort UK retail price for the 30 dose spray is £5.17. Contact your Sanofi representative to order. Would you consider hosting an allergy testing service in your pharmacy?